“If you have questions about the food you eat, do your homework. Maybe the most intimidating step is figuring out where to begin your research or if you think it’s a “dumb” question. A great place to start your research is in your local community. If you don’t know any farmers, I encourage you to contact your Farm Bureau or a specific commodity organization. These groups can help you start your research and lead you in the right direction. If you have that question, somebody else does too. There’s no such thing as a “dumb question”. I welcome you to our table to have a conversation on food at the end of the meal, I guarantee we both will walk away learning something.” Mary Mackinson Faber, Controller for a grain storage facility/ farm input supplier in Central Illinois along with a mom, wife and dairy farmer. It is important to me to meet new people. I love meeting positive people who encourage me. I love meeting people with fresh perspectives. I love meeting other women from different walks of life, experiences, outlooks as well as women in my home area. I don’t forget the people I have known for decades either. I just love people and their stories. It has been a goal of mine this year that when I speak at an event to purposefully meet a few new people and maintain a connection to them. I don’t want to be a speaker that doesn’t connect with the audience or doesn’t remain grounded in who I am and the purpose behind why I speak at events. And that is how I met Mary Mackinson Faber. I arrived early into Charlotte, North Carolina for the AgChat 2.0 Agvocacy conference. I have attended a few of these conferences before since they started. I wasn’t sure I would attend this year, thinking maybe my time as a breakout session speaker to the group had expired and they needed a fresh face and perspective. But I was asked to speak and decided to give it another year. My first night in Charlotte, I spent time with people I never knew until attending the conference. One of those people was Mary Mackinson Faber. I heard Mary’s story. She was soft-spoken but firm in her words. 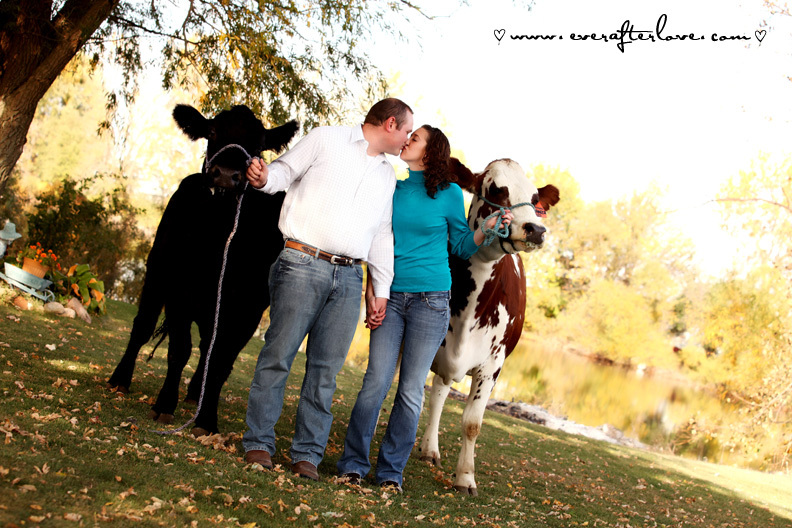 You could see a sparkle in her eyes when she shared her passion for dairy cows. Her off-farm work. 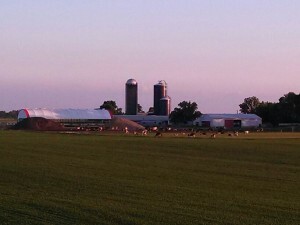 Her advocacy work to connect city moms to her Illinois farm. Her love for family and becoming a new mom. I knew it wasn’t a mistake that I was back at the Agchat Advocacy 2.0 conference like Mary. I needed to meet new people to be re-energized and re-focus myself in my own agriculture advocacy work. Mary and a few others I met in those couple of days in Charlotte helped me do that and we are most definitely going to stay connected. 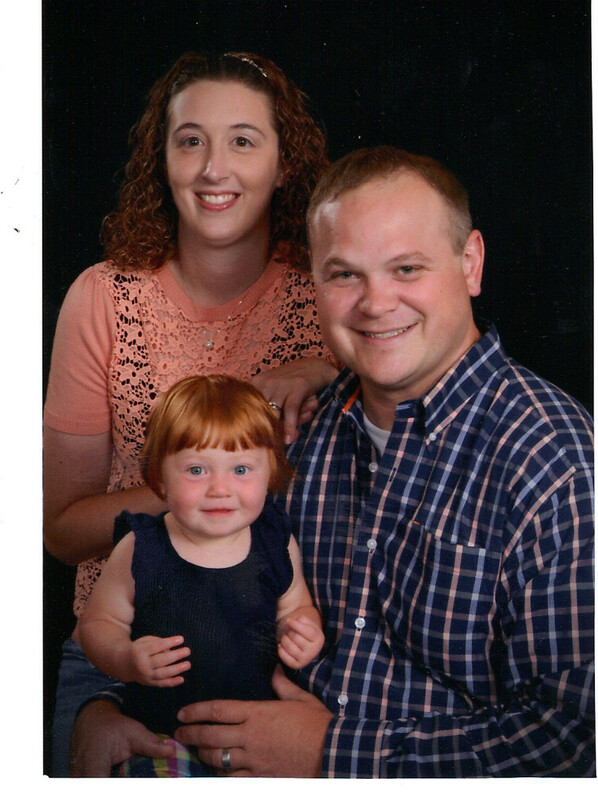 Meet Mary, who resides in Pontiac, Illinois, her hometown, with her husband, Jesse and daughter, Ava, age one. Meet Mary, in her own words. What is your role in agriculture today? I am a Controller for a grain storage facility/ farm input supplier in Central Illinois. My responsibilities at the cooperative include month-end analysis, accounts payable & receivable and stock / patronage sales and redemption. As my professional schedule allows, my passion takes me to my family’s dairy farm. This spring, after some encouragement I started a Facebook fan page for the farm to help educate our fans about agriculture, especially the dairy industry. If you visit our page, you will see that we take you to our farm via pictures and videos. Through social media, we have the opportunity to have a conversation about our family’s dairy and grain farm. How has agriculture shaped your life? Without agriculture, I would not be who I am today. Growing up on a farm, there were many times that I would dread having to go feed calves or drive the baler with Dad on the rack. My brothers and I were extremely active in 4-H and I knew what last place felt like. Looking back, these memories shaped who I am today. After high school, I had no idea what I wanted to do professionally but I was interested in Agriculture and Business. I combined those two and headed to Illinois State University where I earned my Bachelor of Science in Agriculture Business and a few years later my Masters in Business Administration. 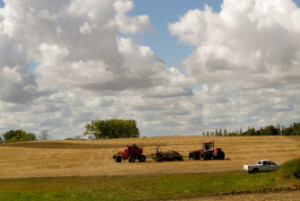 I am proud to say that I am involved in the agriculture industry, what a great industry to be a part of. What is your favorite home-cooked meal? A ribeye cooked on the grill (medium), sautéed mushrooms and a twice baked potato. I’m a lucky girl because that’s what we are having for dinner tonight! If you had the opportunity to get a message across to a large group of people, what would your message be? If you have questions about the food you eat, do your homework. Maybe the most intimidating step is figuring out where to begin your research or if you think it’s a “dumb” question. A great place to start your research is in your local community. If you don’t know any farmers, I encourage you to contact your Farm Bureau or a specific commodity organization. These groups can help you start your research and lead you in the right direction. If you have that question, somebody else does too. There’s no such thing as a “dumb question”. I welcome you to our table to have a conversation on food at the end of the meal, I guarantee we both will walk away learning something. What makes you smile? When my husband, Jesse, reads a story to our daughter complete with all the sound effects, it just melts my heart! 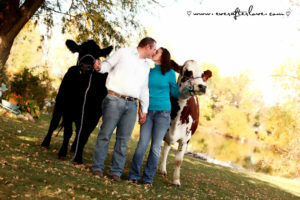 Stay connected with Mary on her Facebook page, Mackinson Dairy Farm and on Twitter. Thank you for your passion and willingness to engage with non-ag audiences to build connections to family farmers, Mary! For those missing out on everyday Pinke Post happenings, connect with me on Facebook and Instagram. Subscribe in the right column by email to not miss any updates. Earlier Women in Agriculture features this month include: November 20: Dr. Beth Carlson, Cow Doc Dreams to North Dakota Deputy State Veterinarian November 19: Anna Leigh Peek, Alabama Young Farmer & Auburn University Senior November 18: Holly Spangler, Illinois farmer, Wife, Mom, Writer & 30 Days Blogger November 17: Celeste Settrini, California’s Couture Cowgirl & Cheerleader for Ag November 16: Marie Bowers, Oregon Grass Seed Farmer November 15: Jessie Thompson, The Next Generation of Idaho Ranching November 14: Emily Zweber, Minnesota Organic Dairy Farmer & AgChat Foundation November 13: Dr. Janeal Yancey, Mom at the Meat Counter in Arkansas November 12: Katie Lukens, Not a farm girl to Virginia FFA State Officer to Iowa Ag Education November 11: Julia Debes, Kansas Farm Girl To Washington D.C. Ag Communicator (with a Deployed Husband) November 10: Veterinary Technician, Farmer, Rancher & Mom: Meet North Dakota’s Amanda Bader November 9: An Immigrant for #WomenInAg: Meet Olga Reuvekamp, South Dakota Dairy Farmer November 8: Texan Melissa Laurent, Long-Eared Humpy Calves Make Her Smile November 7: Alicia Pedemonti, New Hampshire Pig Farmer & Working Mom November 6: Crystal Blin, Agriculture Led Her From Alberta to Iowa November 5: Dr. Rachel Endecott, Beef Researcher & 3rd Generation Montana Rancher November 4: Jill Benson, 4th generation California Egg Farmer November 3: Katie Heger, North Dakota Farmer, Teacher and Mother of 5 November 2: Kelly Rivard: Illinois Country Nights, Missouri City Lights November 1: Introducing 30 Days of Women in Agriculture For a listing of all the 30 Days Bloggers that Holly Spangler rounded up, visit here.